Wooden Mallet's beautiful Dakota Wine Racks will store and display your wine collection in style. 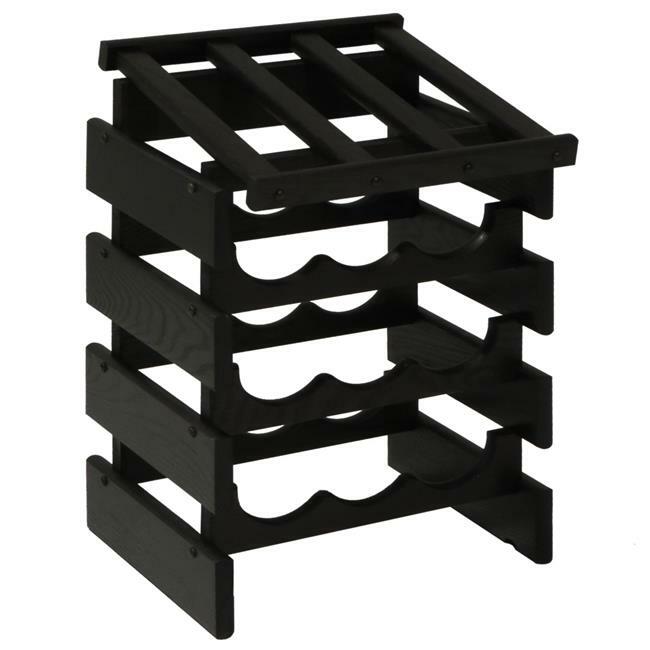 Dakota Wine Racks are the most versatile and easily assembled racking system. Create a countertop display, a floor display or design a cellar. Our innovative design allows you to easily expand and reconfigure your shelving as your needs change. Stable, sturdy shelving constructed with furniture quality solid oak. Eco-friendly red oak sourced from sustainable North American forests and finished with water based UV coatings. Displays only require simple screwdriver assembly with predrilled holes. Racking will hold most standard 750 ml bottles - Bordeaux, Burgundy, and most Champagne style wine bottles. Shelves have smooth rounded edges for maximum bottle/label safety. Made in the USA.